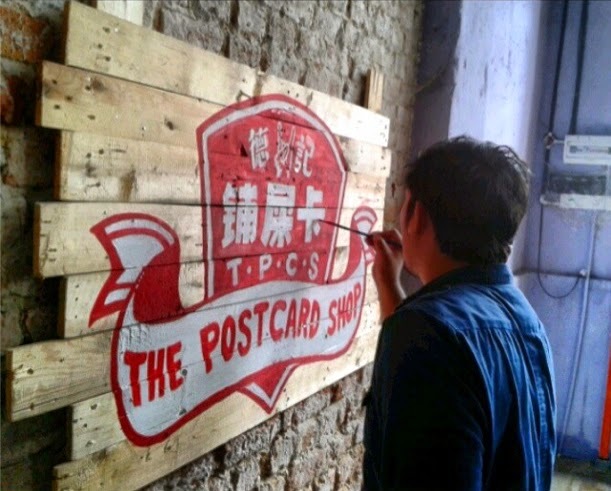 Anjo working on The Postcard Shop signage. 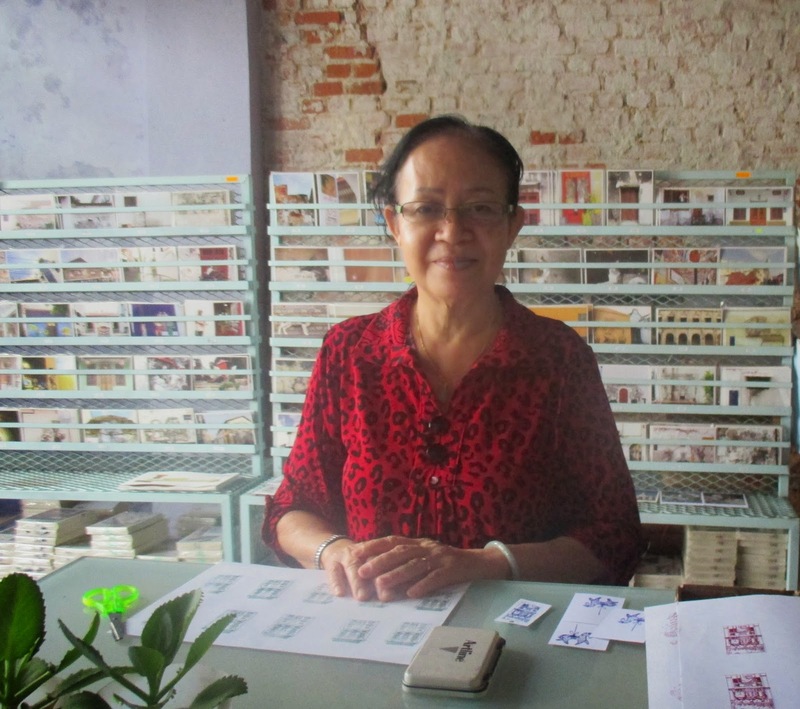 Filipino artist Anjo Bolarda considers The Postcard Shop as his studio in Penang. He's been here in George Town for nearly two weeks for the Project Glocal residency. Turn and smile for the camera, bro. In the first week, he held an open studio for Portrades. People coming into The Postcard Shop can tell him stories about themselves and in return, he draws their portraits. The next week saw him working on the portraits at 28Bahari or at TPCS. 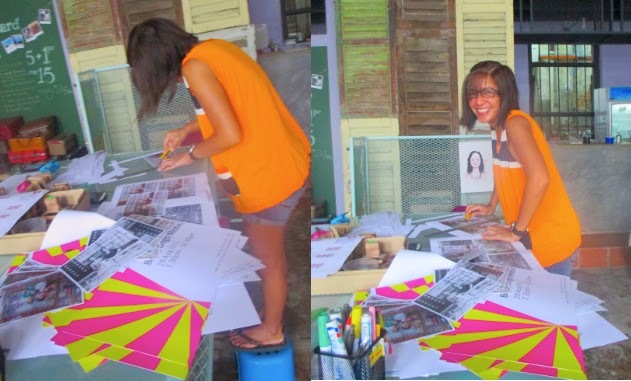 Artist Marika Constantino needs to step up for Transi(en)t Penang. After he has finished all the portraits, he realized that he wanted to leave something behind in his studio--a mark that he, too, was there. but is gladly helping us with the work. 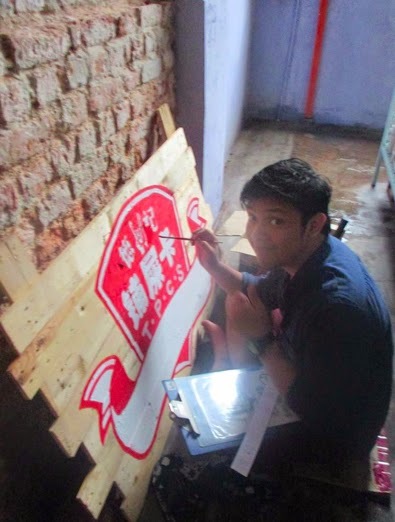 He started working on a signage for The Postcard Shop. Wooden planks were sawn and nailed to form a frame. He painted it in red and white, minimal and warm and welcoming, and yet at the same time something which still reflects his interest in Oriental and Japanese print and art.